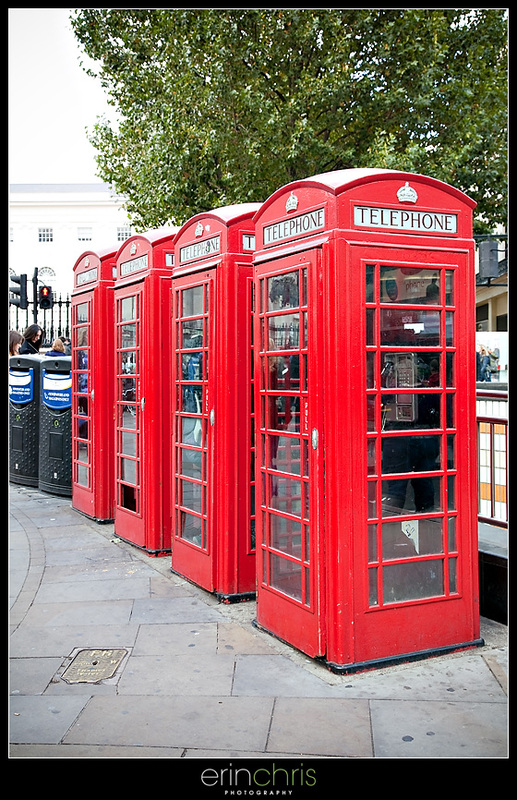 To start with, here are a few of London's famous red telephone booths. 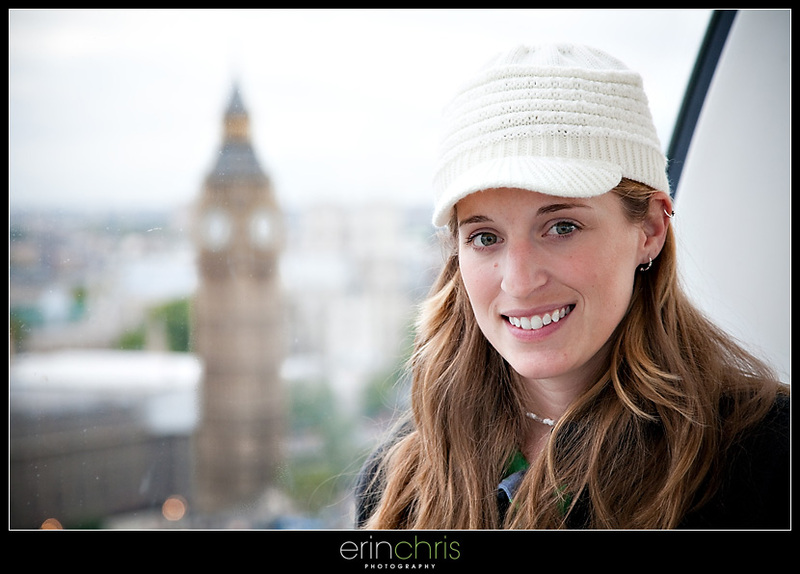 Here is one of London's most famous sights, Big Ben. 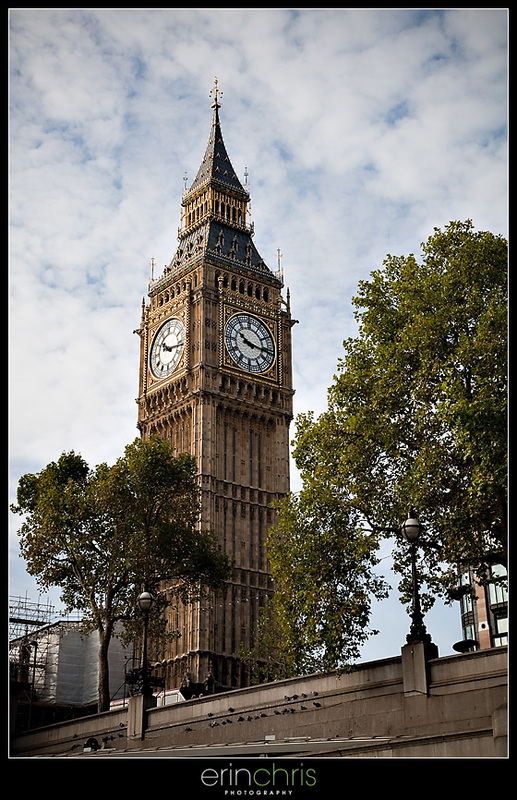 We found out on our tour bus that Big Ben is actually the bell inside this clock tower, but everyone just calls the whole clock tower Big Ben. 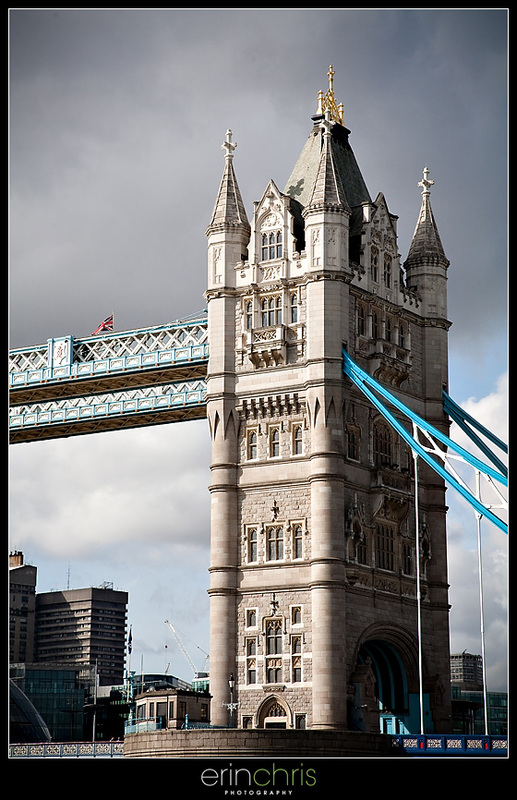 Next up is another very famous sight in London, the Tower Bridge. 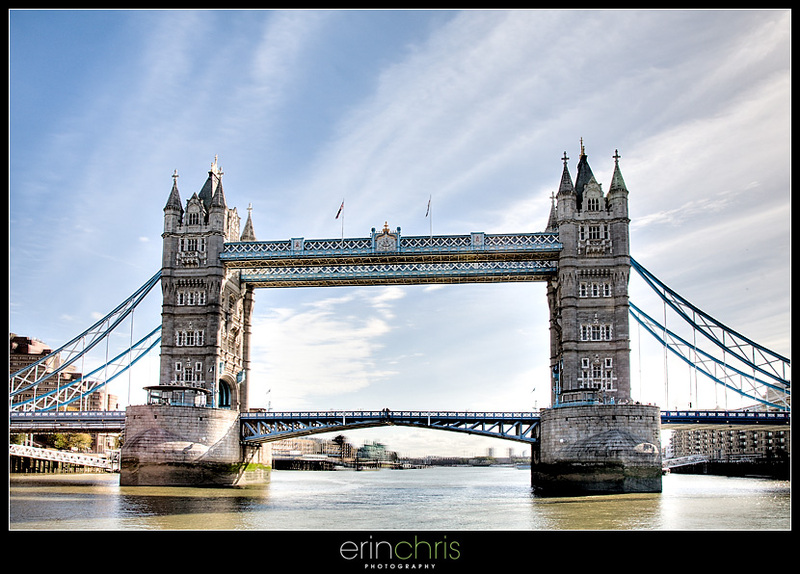 Most people think this is the London Bridge, but the London Bridge is really plain and not much to look at. 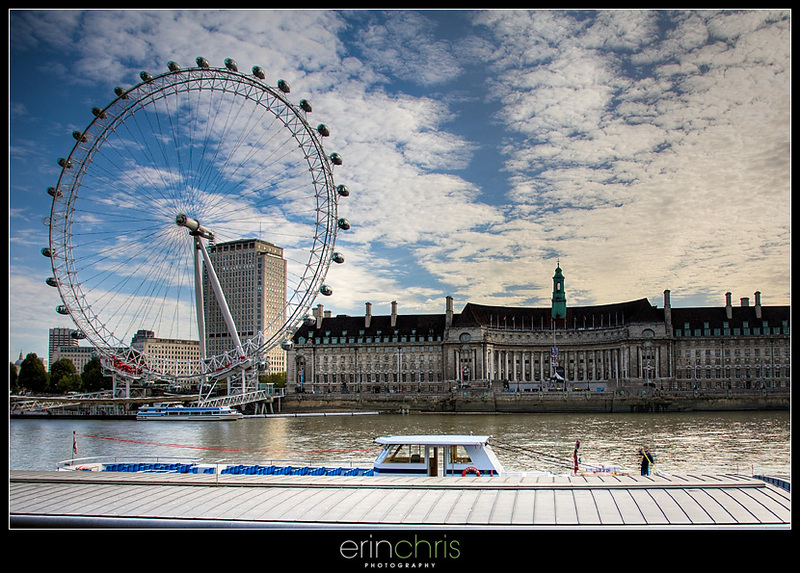 We took a water tour down the River Thames which goes right through the middle of the city. 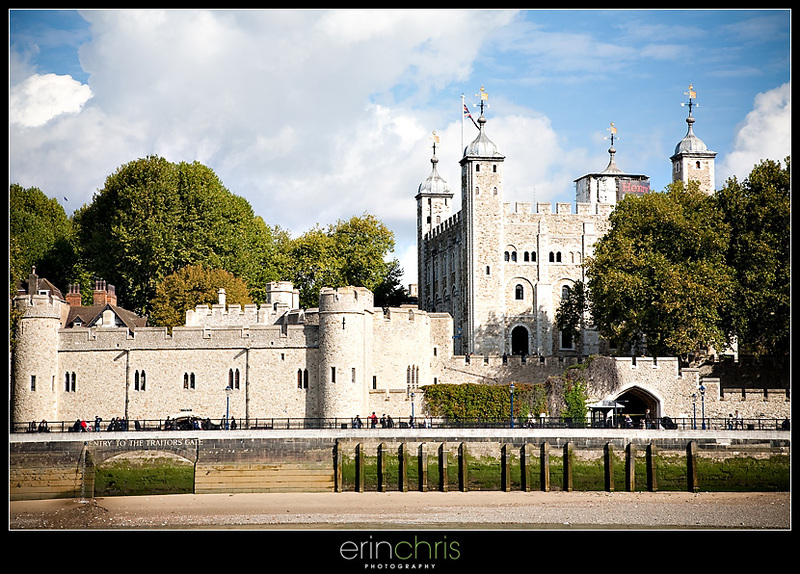 Here is a view of part of the Tower of London from the boat. 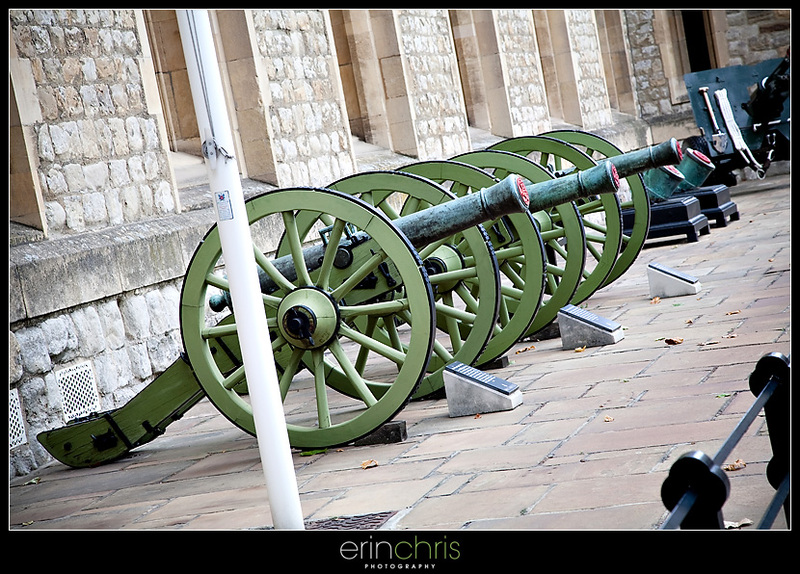 On our way in to see the crown jewels at the Tower of London, we came across these colorful canons. 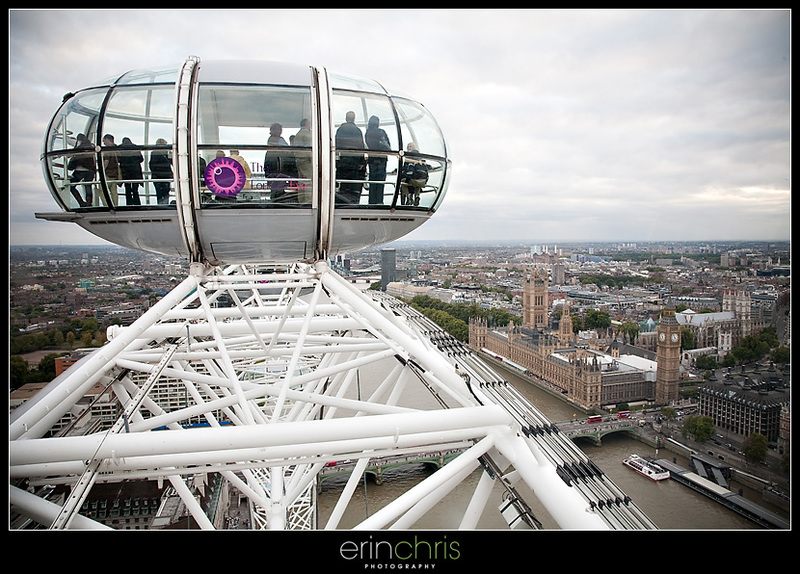 The London Eye was built to be a temporary attraction but was such a big hit (and brought in so much money) they decided to keep it. It really provides a great view of the city but it is a bit overpriced. Here is a view of our neighboring pod as we reached the top of the revolution on our ride. It takes about 30 minutes to go all the way around. 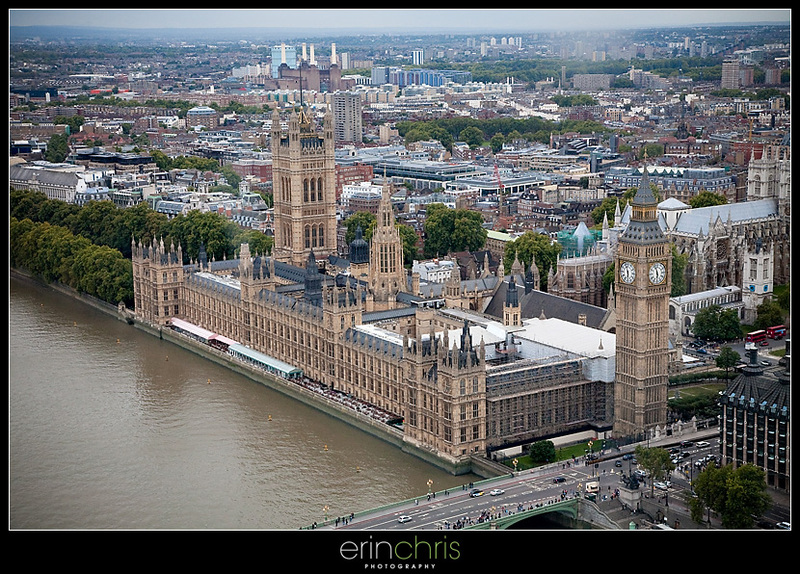 This is a view of Big Ben and the Parliament Buildings from the London Eye. 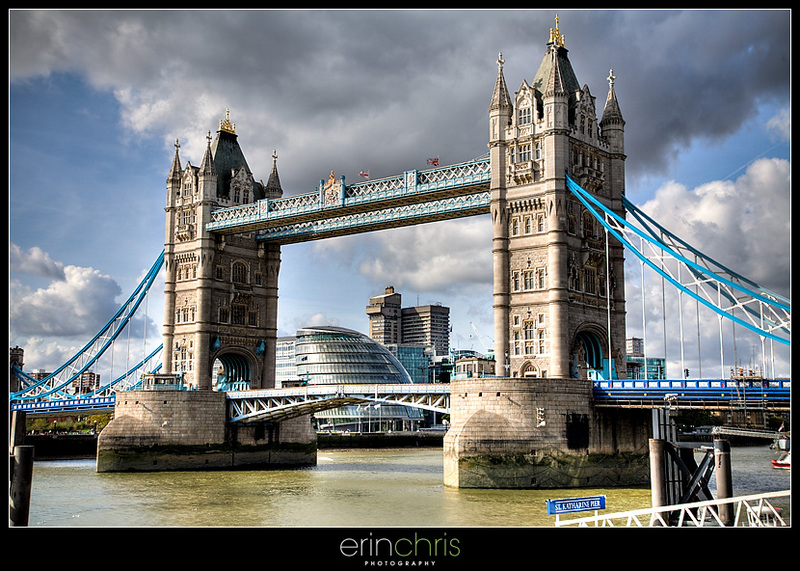 On one of the days, we decided to take a guided tour outside of the city and went to Windsor, Stonehenge, and Bath. It was definitely your typical rainy/misty day in England. 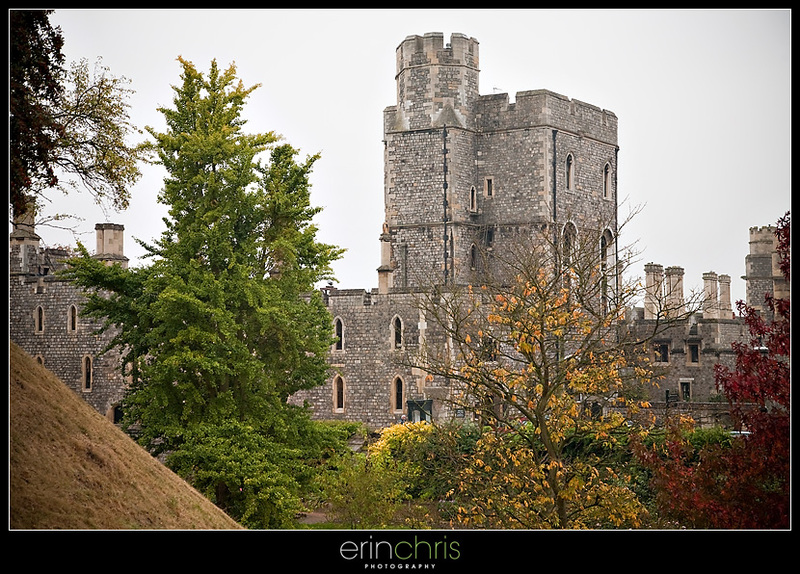 This is part of Windsor Castle. 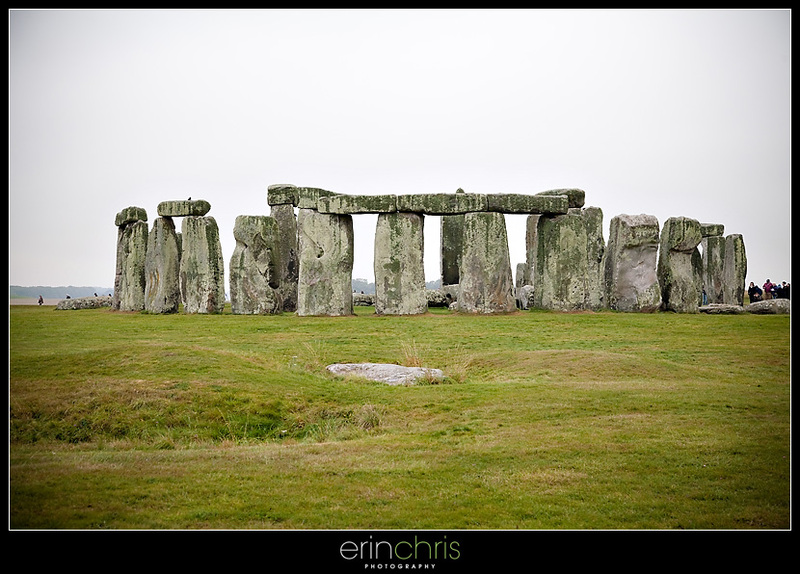 Stonehenge was one of the places I was most excited to see. Unfortunately, it isn't much to look at really. 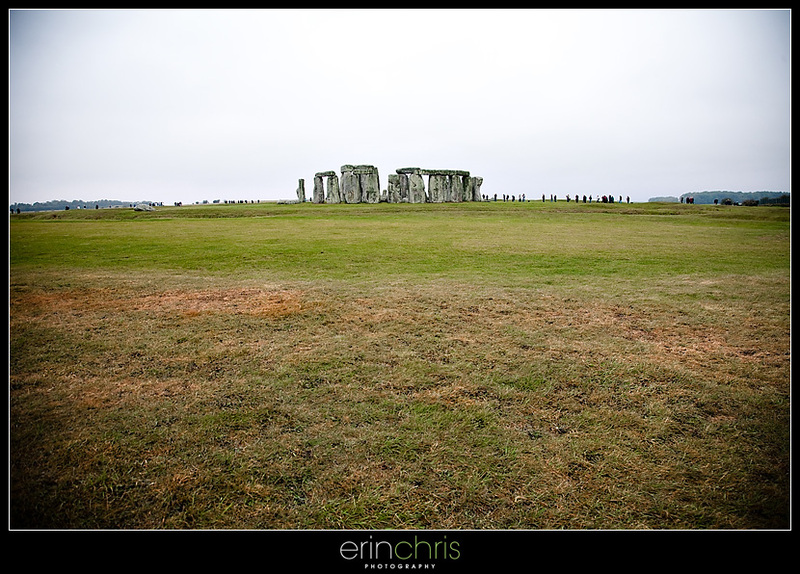 you drive an hour and a half out in the middle of nowhere to see some random enormous old rocks in a big field. It was still pretty cool to see something that old and famous. 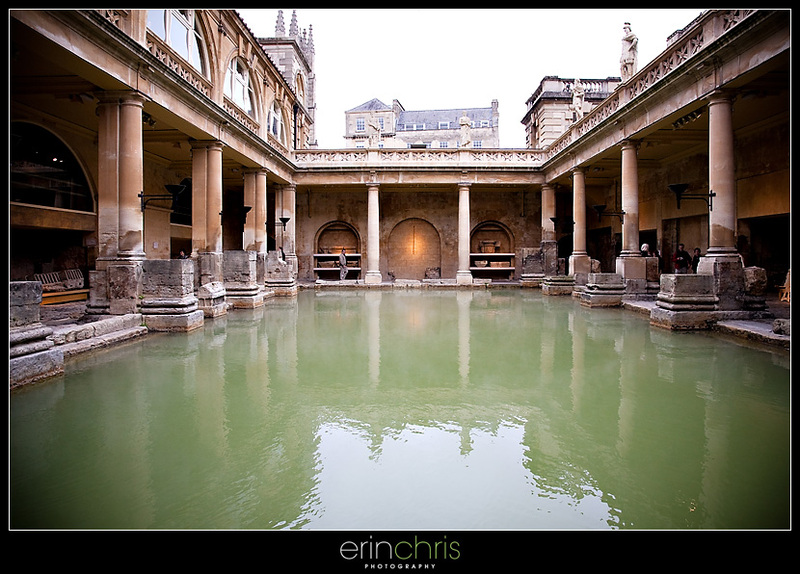 The last stop on our tour was the city of Bath. It is an old city built by the Romans on natural hot springs which later became a spa resort. 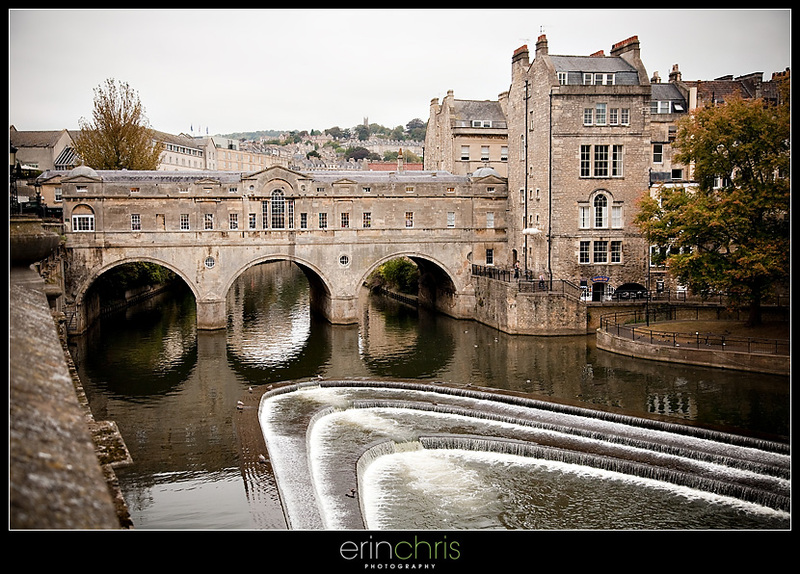 This is a shot of the Avon River before we left Bath and headed back to London. 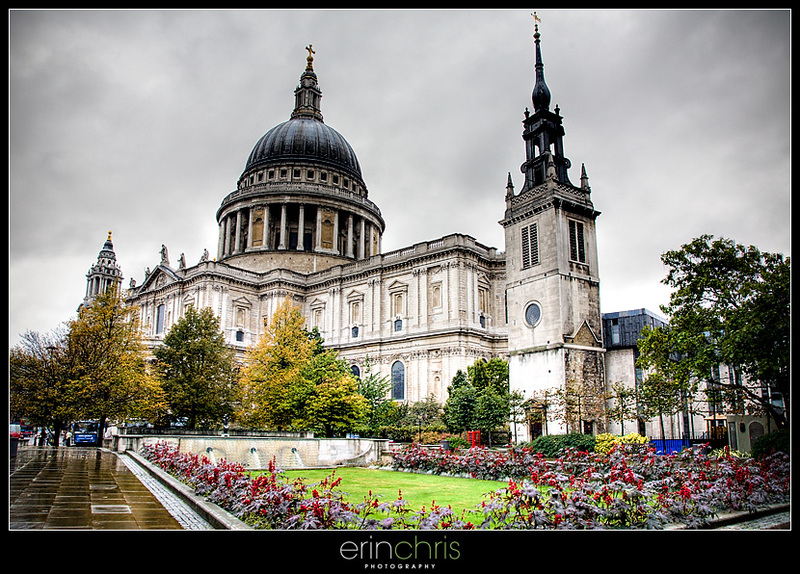 On our last day in London, we visited St. Paul's Cathedral . St. Paul's was one of our favorite places, but sadly we weren't allowed to take pictures inside. 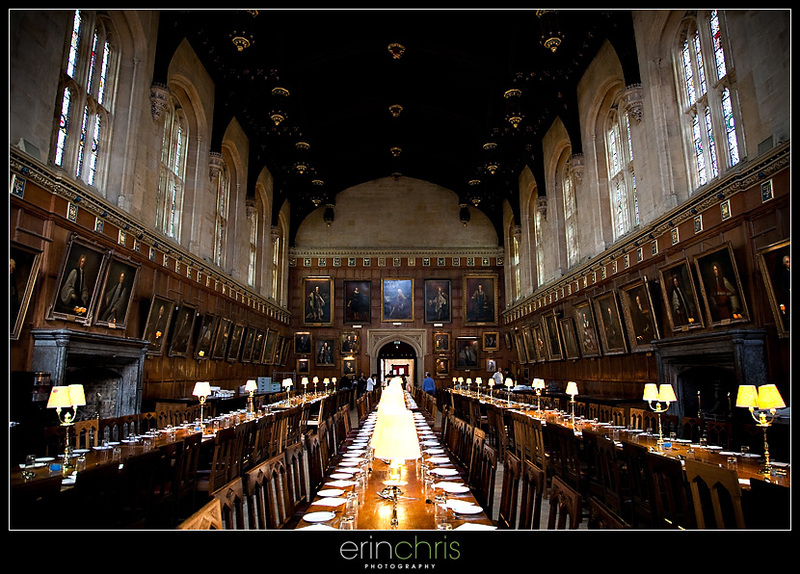 The interior is absolutely incredible and ornate. To get the most out of the cathedral, you have to climb a lot of steps. 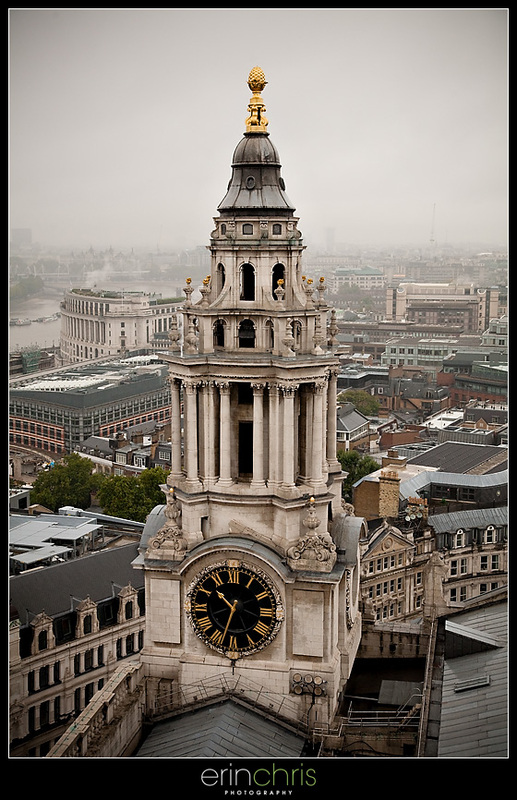 The first level up is the Whispering Gallery, which is at the base of the dome of the cathedral. They call it the Whispering Gallery because it is perfectly round, which allows someone on the opposite side to hear you, even at a whisper. Chris and I tried it and got it to work, and it was really neat. Then we climbed up to the Stone Gallery to see the view of the city. This is all we could see instead... more of that lovely London rain. 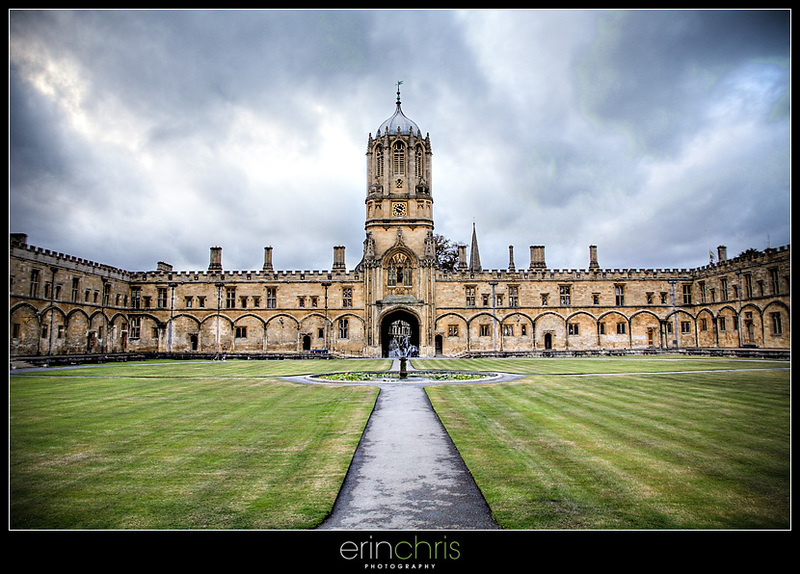 As the rain started to clear, we got a pretty cool view from the courtyard. Next up will be photos from the second half of our trip in Paris. Great post! Being somewhat of a history buff, I appreciate all the interesting theories about Stonehenge. great post!!! so glad you guys got to take this vacation. 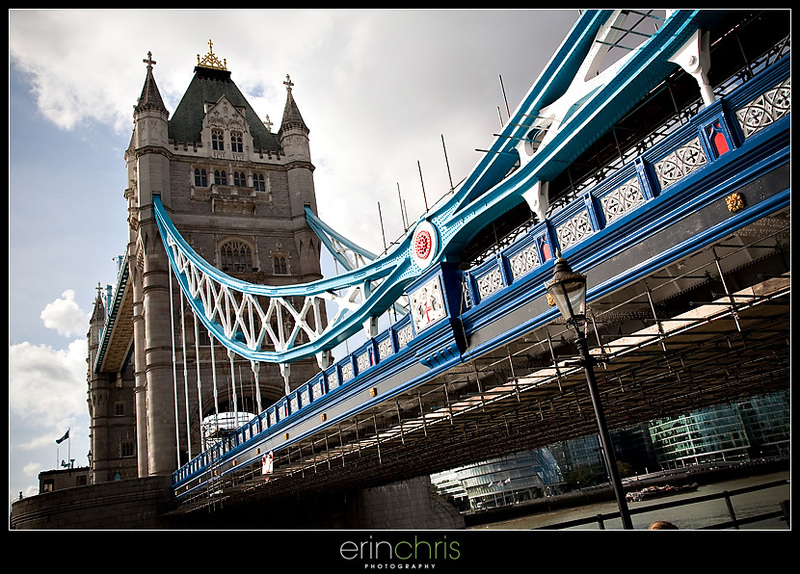 my fav shot is the first one of that bridge. so beautiful! We never got to Stonehenge but really wanted too. All of your photos are beautiful and it looks like you were able to see so much!